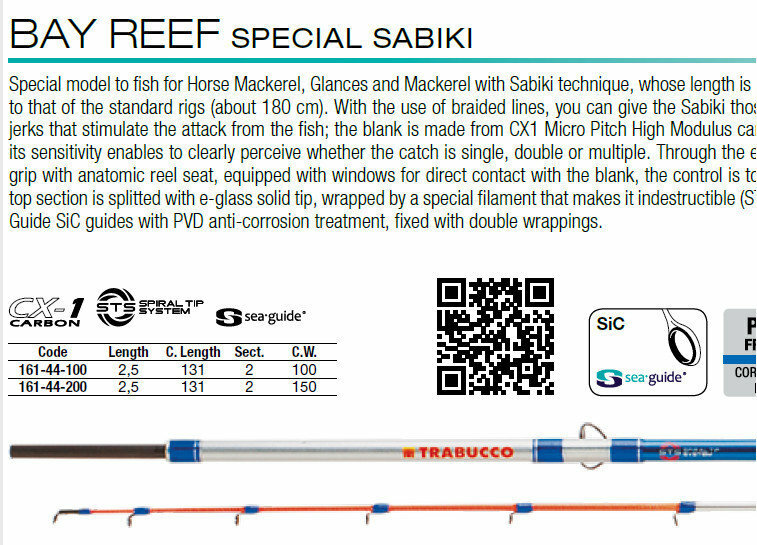 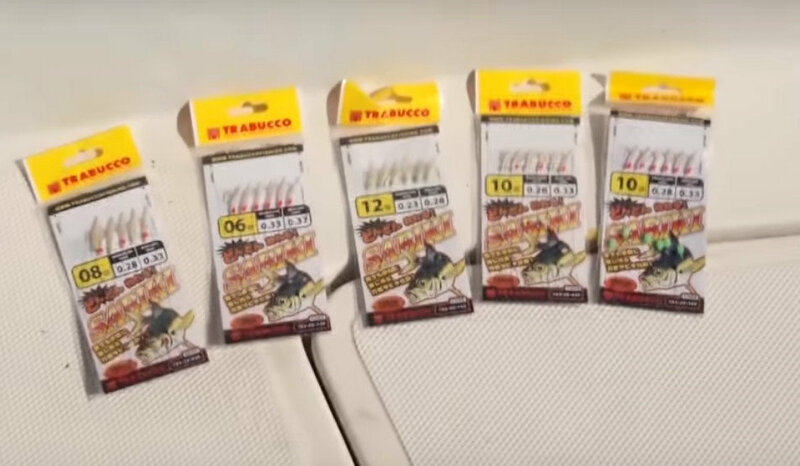 Special model to fish for Bream , Launce and Mackerel with Sabiki multi hook techniques, whose length is adapted to that of the standard rigs (about 180 cm). 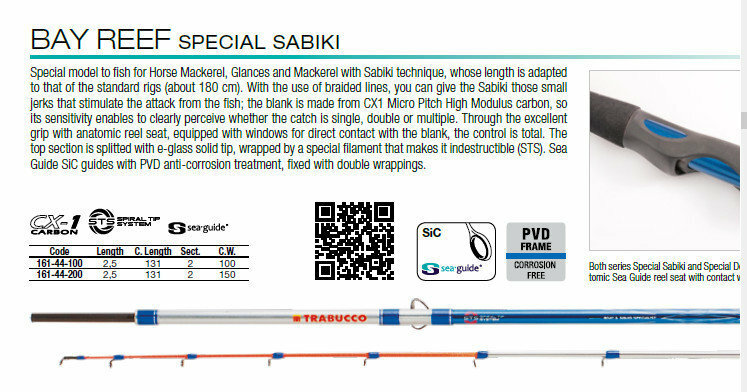 With the use of braided lines, you can give the Sabiki those small jerks that stimulate the attack from the fish; the blank is made from CX1 Micro Pitch High Modulus carbon, so its sensitivity enables to clearly perceive whether the catch is single, double or multiple. 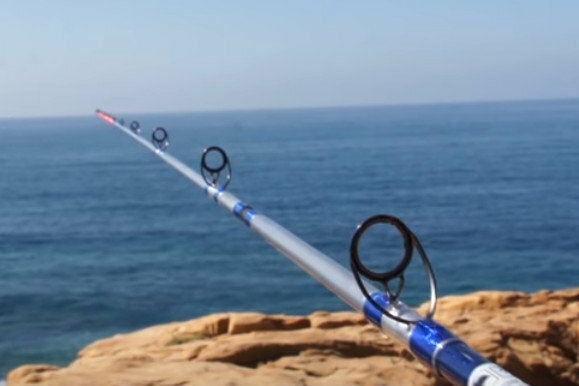 Through the excellent grip with anatomic reel seat, equipped with windows for direct contact with the blank, the control is total. 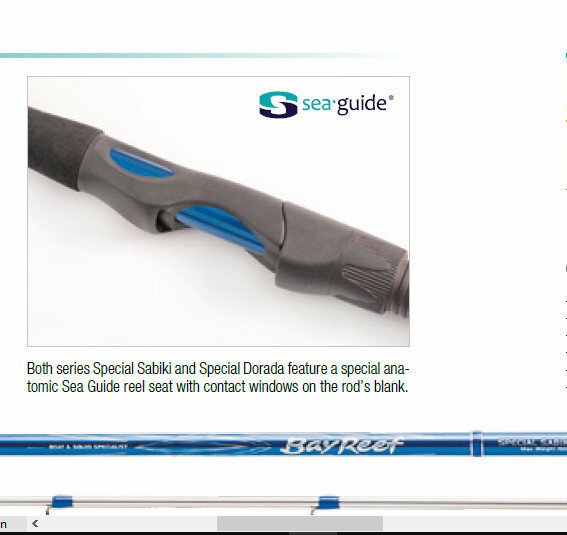 The top section is splitted with e-glass solid tip, wrapped by a special filament that makes it indestructible (STS). 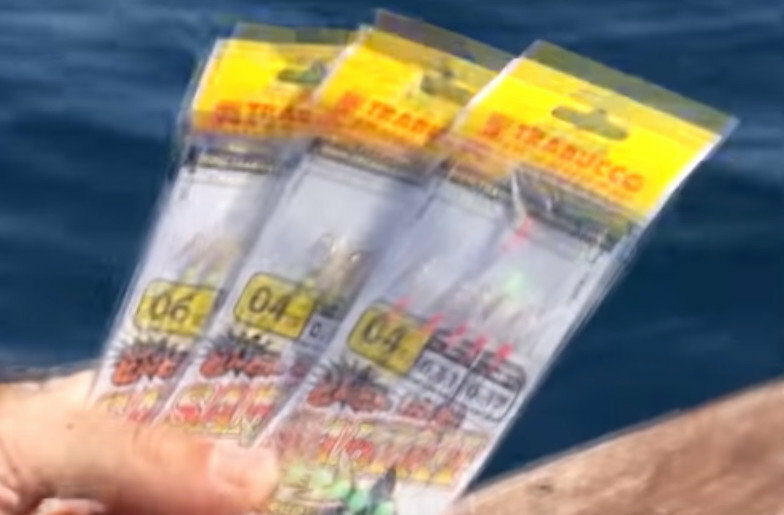 Sea Guide SiC guides with PVD anti-corrosion treatment, fixed with double wrappings.